As a fireplace manufacturer we strive for the best flame possible for all of our custom gas fireplaces, whether they’re commercial fireplaces or residential, we want you to have the best! The above fireplace is a perfect representation of the Acucraft Flame in all it’s glory; this particular commercial fireplace was custom designed and built for Atlas Holdings LLC Corporate Office in Greenwich, CT.
There’s nothing more disappointing than a custom gas fireplace with a tired, small, less than impressive flame to go with it. So what sets our flame apart from the rest? Our flame has a large, tall, full, slow flame that can be enjoyed from afar or up close. 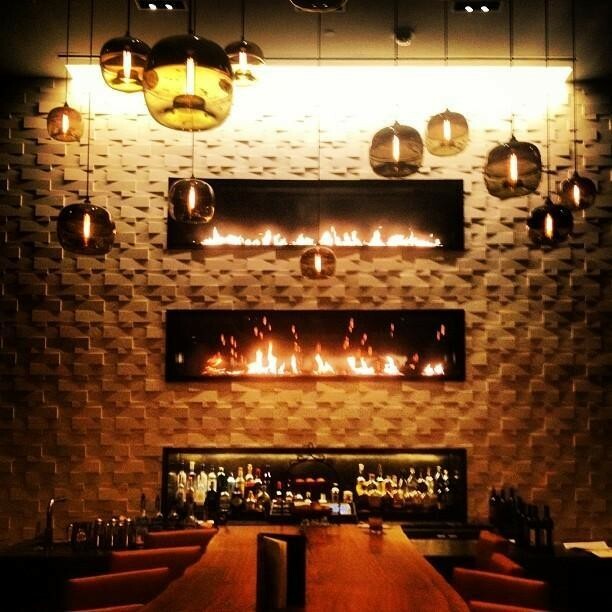 We maximize the height of our flame while maintaining cleanliness. Above left is an Acucraft custom gas linear see through fireplace being tested in our test lab before shipping to the client. Above right is an Acucraft custom gas corner fireplace with custom square burner being tested. 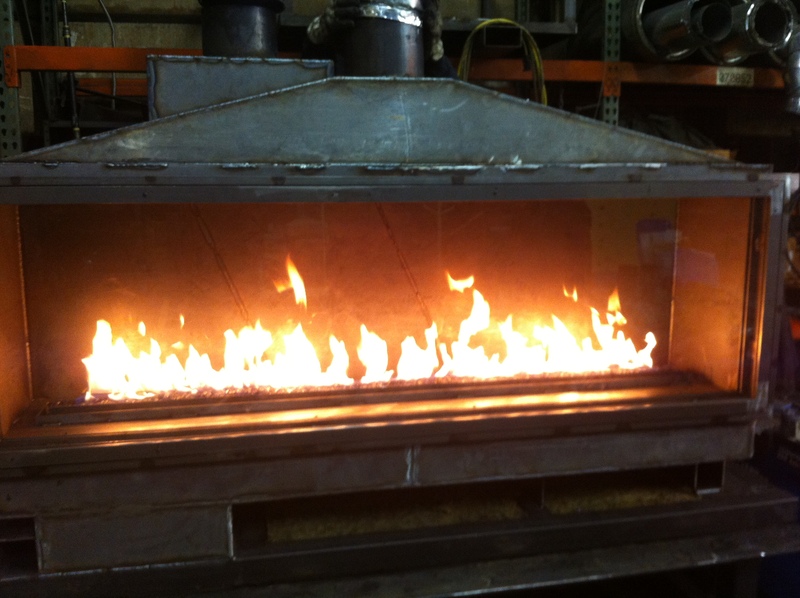 With our custom burner and tray design we are able to receive a taller and fuller flame for our custom gas fireplaces; additionally, we are able to cover the burner entirely to provide a seamless line of flames. By maximizing the energy of the gas and providing more air into the firebox we are able to produce a slower,fuller flame that is less turbulent. So how are our burners made and tested? One of our Fireplace Technicians testing glass temps, one of many tests our fireplaces go through. 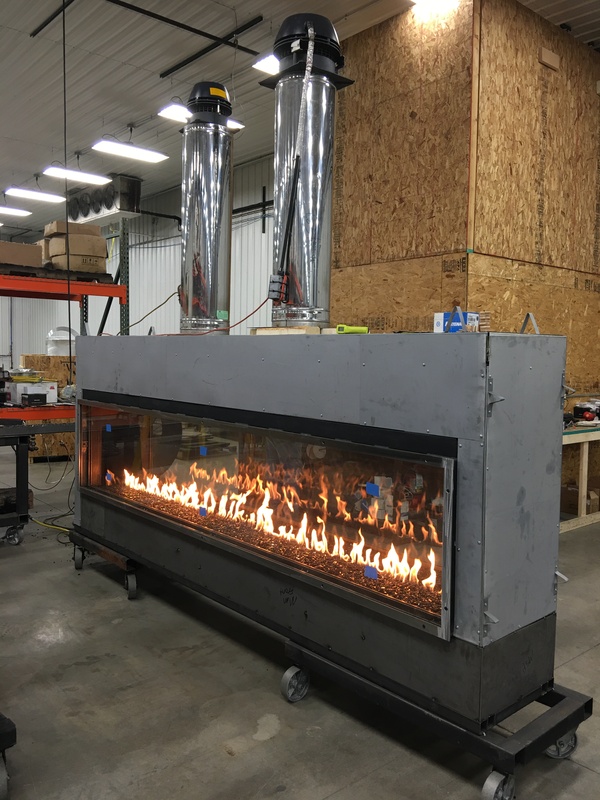 Once our fireplace inspector completes and approves the day long round of testing, the fireplace is then reviewed, approved, and signed off by one of our Fireplace Designers who verifies all completed tests in our internal test lab before shipping to the customer. 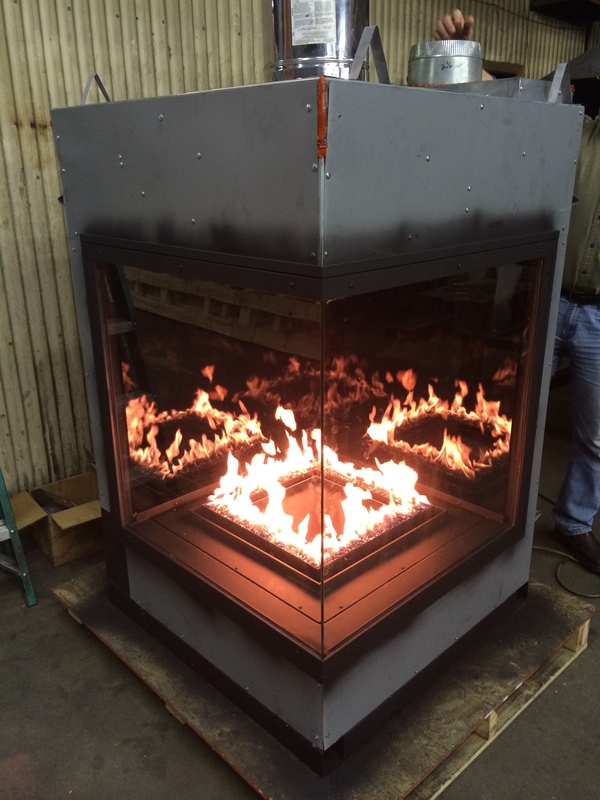 The above video showcases an Acucraft Custom Gas See-Through Outdoor Fireplace being internally tested before being shipped to the customer. This particular fireplace was custom made for Gloucester Premium Outlet Mall in Gloucester Township, NJ. It was fully customized with dual burners, mammoth logsets, custom firescreens, and viewing areas of 81 3/8″ wide x 34 1/4″ tall x 87 1/4″ deep. 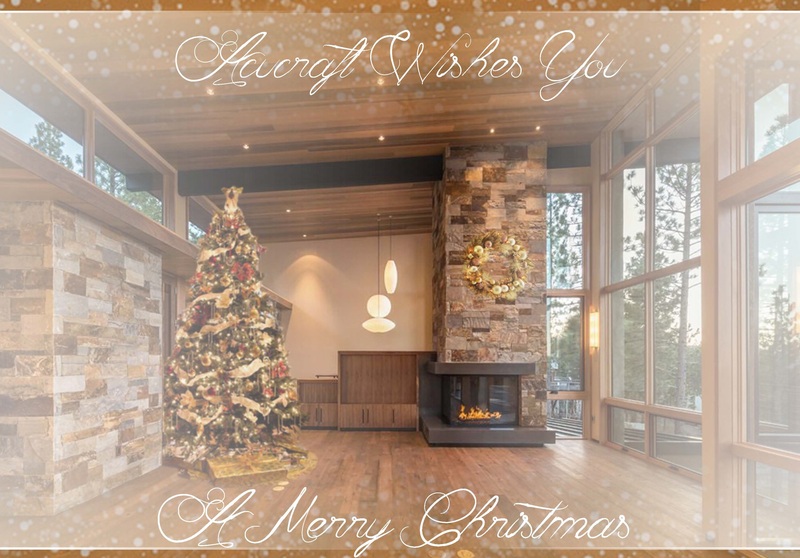 Many of our clients have selected Acucraft for their fireplace solely because of our flame. We’ve dedicated over a decade developing, designing, and perfecting our gas burners to achieve the tallest, fullest flame possible while maintaining cleanliness. 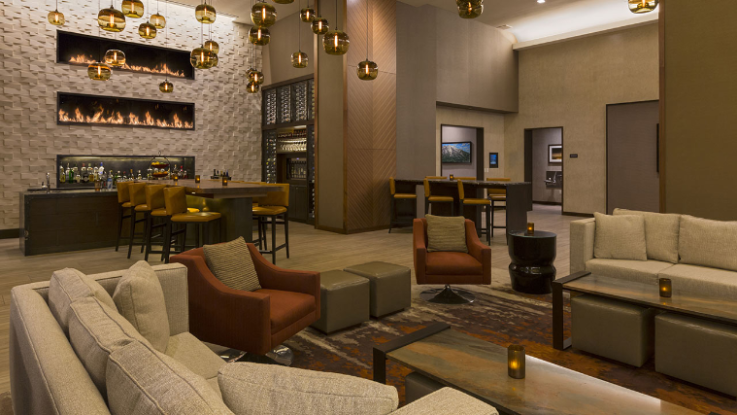 All of our Custom Gas Fireplaces are fully customizable, which means you get exactly what you are looking for; from large viewing areas to circular fireplaces with curved glass, you dream it…we can build it! 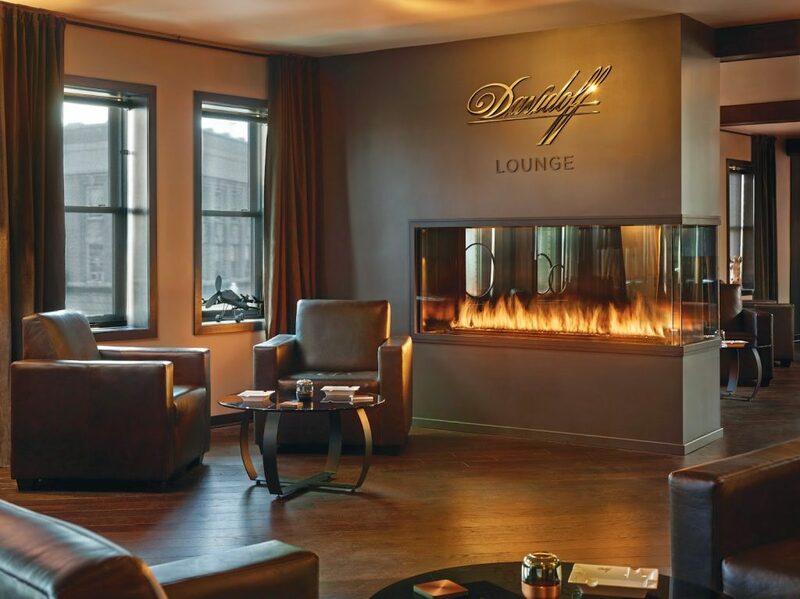 The above custom gas peninsula fireplace was designed and fabricated for The Davidoff Cigar Lounge in Ridgewood, NJ. This particular fireplace was constructed in three separate pieces to be dropped through a small skylight and assembled once inside the actual space. Our fireplaces stand out from the rest and our flame doesn’t disappoint; for more information on designing your dream fireplace, click here. 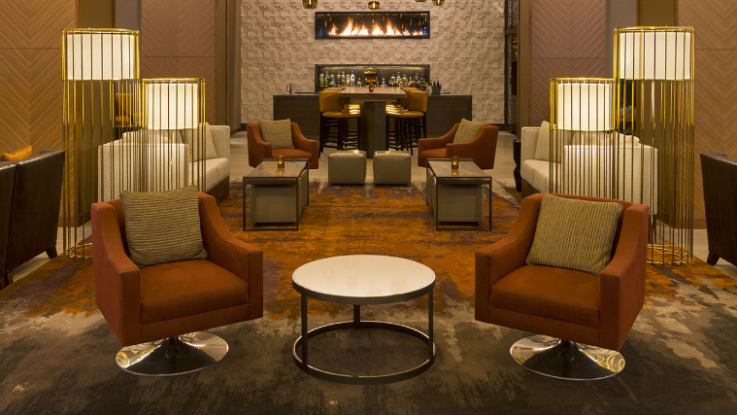 Acucraft partnered with RJM Construction & Klipp PC to design and fabricate these gorgeous custom linear gas fireplaces for the Grand Hyatt in downtown Denver, CO. 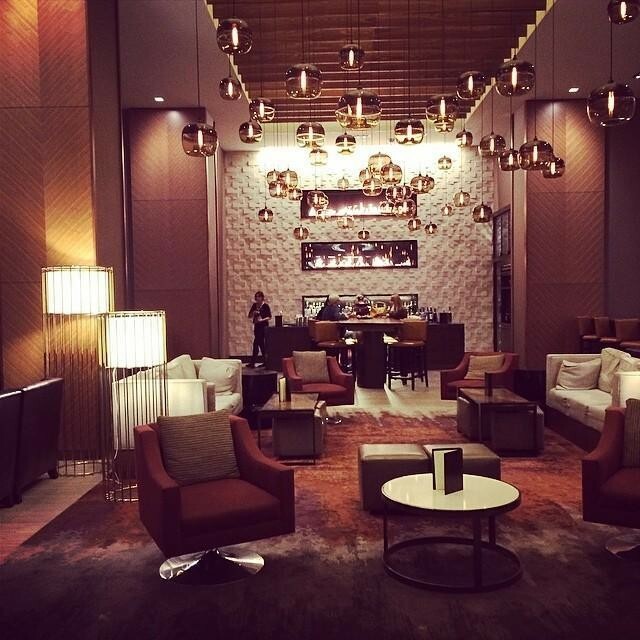 The customer came to us looking for three stacked fireplaces with a super tall flame, without producing heat, to compliment the contemporary renovation of their lobby bar. After further collaboration with the client and reviewing their initial renderings, Acucraft recommended two custom gas linear stacked fireplaces with one insulated panel, our Patent Pending Glass Cooling System, and porcelain reflective panels to really create an impressive flame. Each of the fireplaces has viewing areas of 108″ wide by 26″ tall with a 100″ electric ignition natural gas burner controlled by a on/off control wall switch. The fireplace burner trays were lined with glass media, while the back, top, and sides were customized with black porcelain reflective panels which reflects the tall flames to ensure that no matter where you’re sitting you can enjoy the dancing of the flames. The fireboxes were constructed of 7 gauge steel and double welded inside and out, we used 4″ square tubing connected with bolts between the bottom of the top fireplace and the top of the bottom fireplace to create an even stacked look while maintaining the integrity of the steel. We created a custom modular firebox stacking system to enclose both fireplaces inside one insulated panel, instead of two separate insulated panels, because the architect had very specific dimensions for between the bottom of the top unit and the top of the bottom unit in order to coincide with design and structural elements for the lobby bar. To help ensure that the fireplaces maintained a large flame without producing supplemental heat, we used dual pane glass with passive air to control heat output and glass temperature. Both the fresh air intake and the heat relief had right-side terminations. 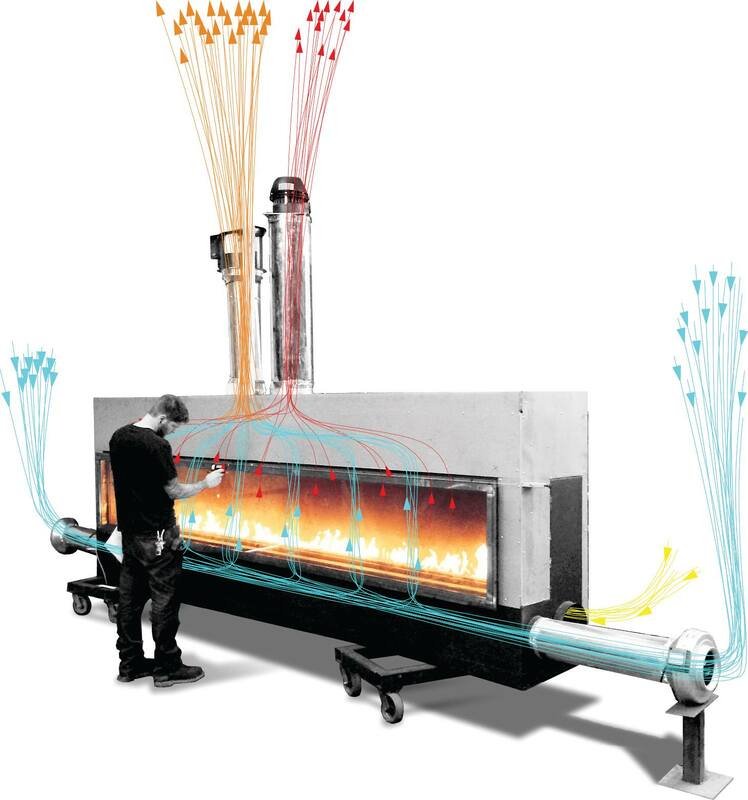 The chimney and flue system was designed for over a 100′ run with four 90 degree elbows per fireplace, we needed the route of the flue from the fireplace to the end of the run in order to verify the flue components, diameter of the flue, and powervent systems. 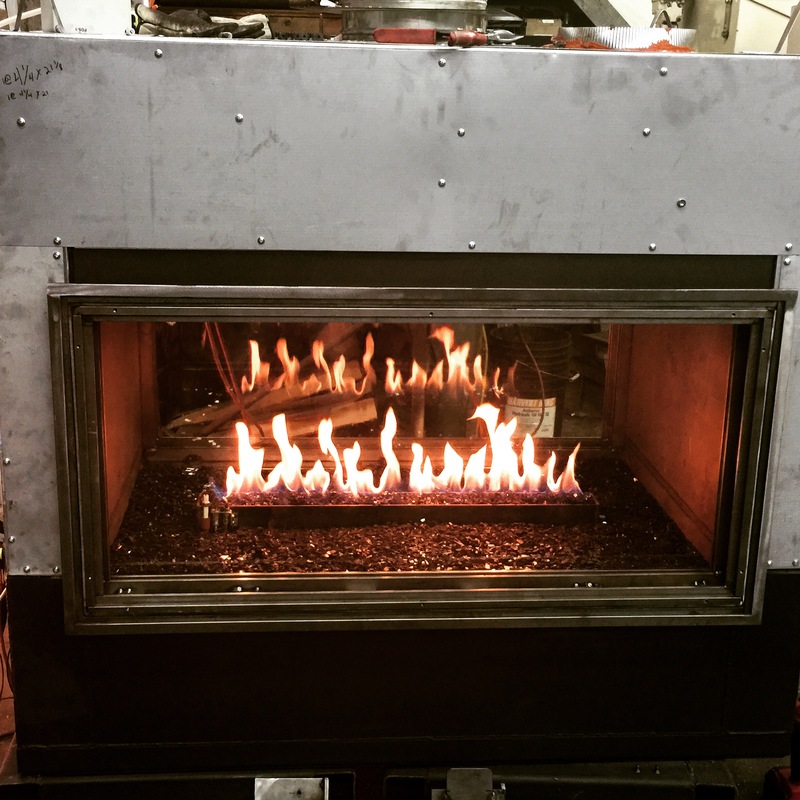 Everyone of our custom gas fireplaces is internally tested at our facility to make sure we achieved the proper flame height and appearance the customer had requested. 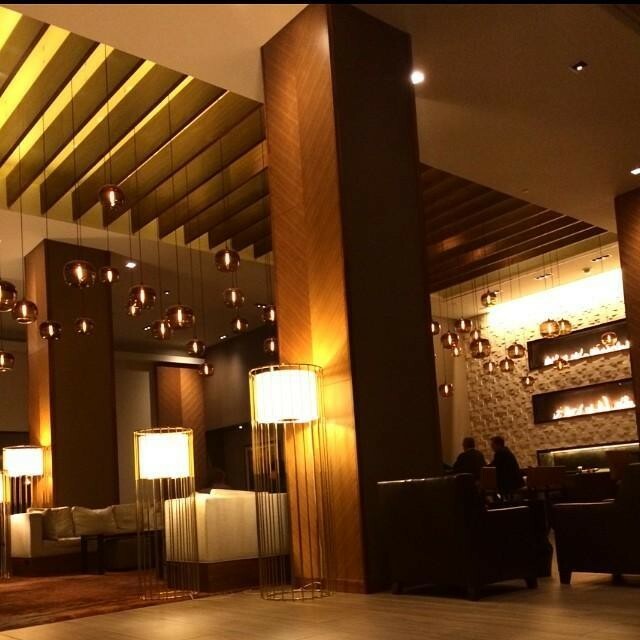 It was a pleasure working with RJM Construction and Klip PC on this project; we look forward to future projects! THANK YOU to all of our customers, vendors, and employees for making 2015 a record breaking year! Not only did we celebrate our 36th Anniversary this year, but we also moved into our new home. We are looking forward to 2016 and even have a few tricks up our sleeve for the upcoming year that we can’t wait to share with you.